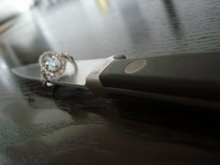 I have been lucky enough to meet another chefwife who was gracious enough to lend us her story. Naomi and her husband Boo have a restaurant in Hamilton, Ontario as well as two beautiful children and a beautiful story to tell as well. Bringing our stories together makes our own hardships easier to defeat. -My husband, Boo, and I met in 1997. I started working at a restaurant called Montfort’s as a waitress. It was this Lebanese restaurant that doubled as an after the bar eating spot. We would serve lunch and dinner, and then stay open until 4 in the morning. Crazy. Boo used to come in for a beer every now and then. Especially on Sundays and Mondays. We had a big screen tv and he would sit and watch football games. The Miami Dolphins (something about Dan Marino, I don’t know, he’s 45). On New Year’s Eve of 1998 I said, and I quote, “Why is such a nice guy like you still single?” I didn’t get it about the life of a chef, nor did I know how much the guy loved football!! 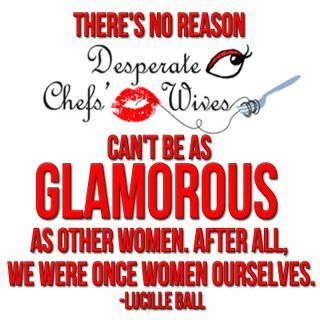 Did you have any apprehensions about dating a chef? - I had no apprehension about dating a chef. I thought it was exciting. When you are young, and in the same business, you don’t think about the implications. Plus, he was such a nice guy (when he wasn’t on the line). At what point did you realize that dating a chef is not like anything else? What caused you to leave the restaurant business? -At first we had the same schedules, both working at the restaurant. Then, I got tired of it. You are always at the mercy of the manager, in terms of scheduling and sections. Then, you have the customers to deal with. It just started to drain the life out of me. So, I decided to go to teacher’s college. At first it was fine, I went out with my friends, and did my own thing. Then we spent Sundays and Mondays together. I never really minded going to family functions, or other outings solo. Now, with the kids, of course, it is harder. When did you decide to have children?-We knew we wanted kids as soon as we got married. We got married in August of 2003. I was pregnant the following January, and Mateus was born in September of 2004, 3 ½ weeks early. Kieran was an accident (we knew we wanted a second, just not so soon! ), and was born in November of 2006, 3 weeks early. They are so incredible (as all parents say), and we are so lucky to have them in our lives. You have mentioned that being married to a chef can be a lot like being a single mother, can you elaborate? -Being the wife of a chef, with kids, is like being a single parent. Five days a week I do it all. Accept about an hour in the morning, when I sometimes get some help. Make breakfast, wash clothes, clean house, make lunches, pick kids up, go to work myself, make snacks, dinner, bathe kids, put kids to sleep, wake up with kids at night.. you get it, I’m sure. Then, on his days off, he helps, but he does other things, like wrestle, and play - you know, dad things. I can’t complain too much, he is a wonderful father. The boys adore him. When did you two decide to open your own restaurant? -Boo’s last job, opening a fancy new steak house, was to be his last. He said it when he took the job. The next step would be to open his own restaurant. You get to a point where you just can’t work for someone else anymore. He is the type of guy who puts his blood, sweat, and tears into a restaurant. You can only do that for somebody else’s restaurant so many times. He lost his job in September of last year (he didn’t drink enough with the owner, and the gm did.. general manager got his way) Food and restaurant are suffering without him there, owner regrets listening to gm, gm now fired. Lucky for us, many of his old clientele are now coming to our restaurant! !The restaurant couldn’t have happened without remortgaging our house, and my parents (who are 50/50 partners with us). We believe in the restaurant 100%. It was well worth the risk. How has it worked out being married to and working with a chef? -I’m not sure that working with the husband is a great idea. We tend to fight a lot about work related issues. He takes his stress out on me. I criticize, want to change things, you know, meddle in his business. This last week I was losing it. I decided I shouldn’t work there more than a shift or two a week to preserve my sanity and our marriage. We went away for a few days, and things are much, much better! How has the opening of your restaurant been going? -The restaurant has been open since June 3rd. Things are going very well (knock on wood). Sometimes it seems too good to be true. You hear horror stories of restaurants with one table, all day. We have been fully booked a number of times, and often have to turn tables away. We have had a write up in the paper, and two good reviews by Hamilton’s two biggest newspapers. I can say, though, that Boo has worked hard in various Hamilton restaurants for over 20 years, many of them popular spots. He deserves this. It took many years of working his a@#$ off for other people. He is a good guy. He is a great chef. Any advice for other chefswives? -My advice (although I am the last person in the world who should be giving it) to other chefswives is to be patient. Love them. Be their biggest fan. This business is tough, and heartless at times. They need us to be there for them, in good times, and in bad. Don’t sweat the small stuff. I know this is an old post, but I'm at my wits end with my chef husband and I read this and almost cried. I'm pregnant with our fourth child and so that means I'm a pregnant single mother of three. He is great and supportive but it is hard as hell. 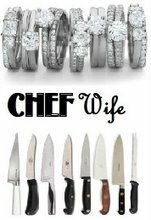 I didn't even marry a chef I put him through school after we had three kids. Little did I know. I am gonna keep reading my way through the blog in search of some hope. I have already been laughing so that works. That Must Be So Nice!